Lord of War - 4K UHD Review - ReDVDit! Lord of War is a 2005 crime drama that was written, produced, and directed by Andrew Niccol, and co-produced by and starring Nicolas Cage. It was released in the United States on September 16, 2005, with the DVD following on January 17, 2006, and the Blu-ray Disc on July 27, 2006. 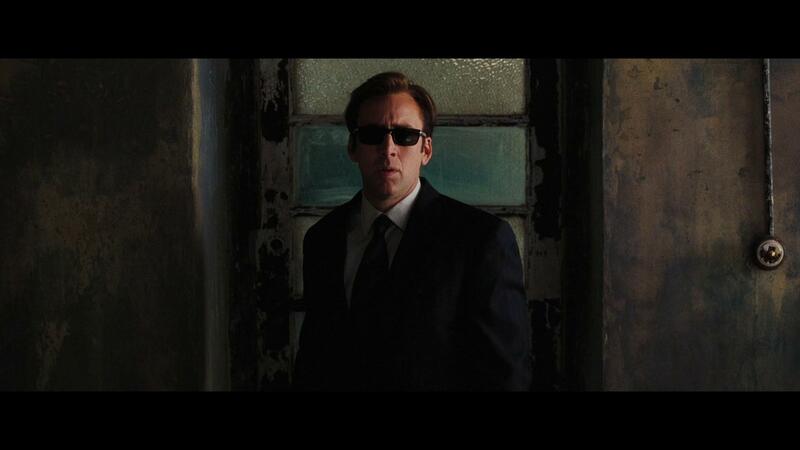 Cage plays an illegal arms dealer, inspired by the stories of several real-life arms dealers and smugglers. The film was officially endorsed by the human rights group Amnesty International for highlighting the arms trafficking by the international arms industry. Taking place in the 1960s, Yuri Orlov (played by Cage), the eldest son of a family of Ukrainian refugees, is visiting a Brighton Beach restaurant, where he witnesses a Russian mobster kill two would-be assassins holding Kalashnikov assault rifles. He is inspired to go into the arms trade, comparing the constant need for weapons to the similar human need for food. After completing his first sale, Yuri convinces his brother Vitaly (Jared Leto) to become his partner and they leave their jobs at the family restaurant behind. 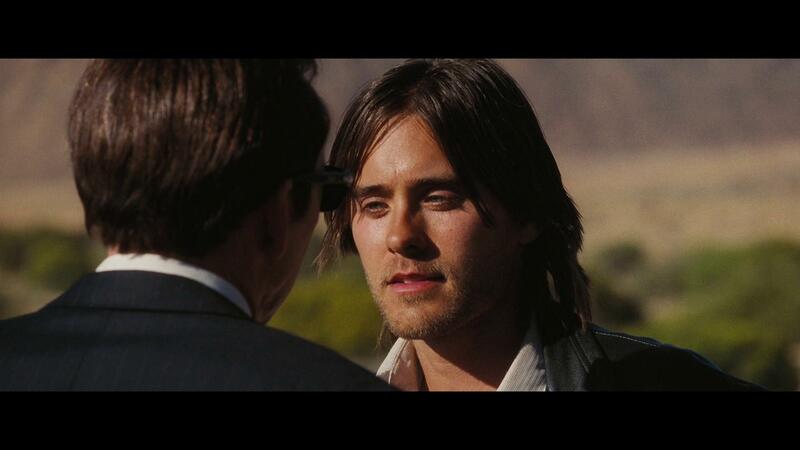 Lord of War received fairly positive reviews from critics; the film received a 61% approval rating on Rotten Tomatoes; with the critical consensus reading that: “While Lord of War is an intelligent examination of the gun trade, it is too scattershot in its plotting to connect.” The film also received a special mention for excellence in film making from the National Board of Review. 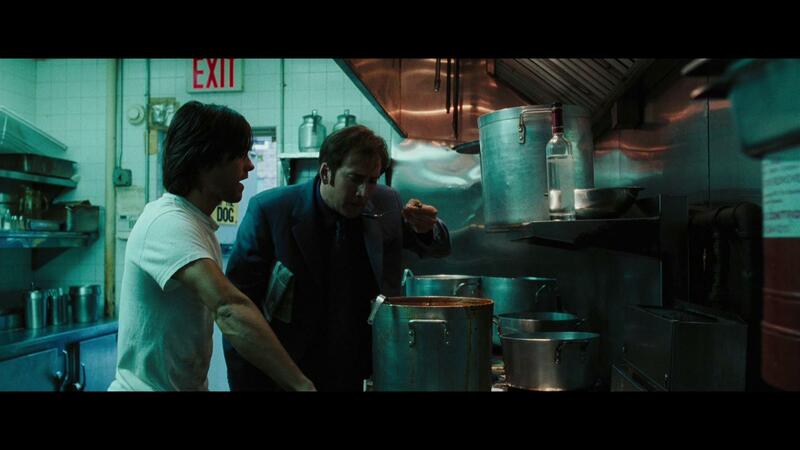 Lord of War is an extremely enjoyable movie that is considerably well acted and directed. Considerably poignant, Cage’s character provides an experience that’s right along with what you would have with movies that follow the traditions of your typical gangster flick. However, Eamonn Walker’s performance is the most notable part of the movie with his performance only to be supplemented with Cage’s perfect depiction of illegal activities, and insanity that comes with his characters. It offers a pretty compelling storyline that might not be favored by all, but it was certainly well liked in my household. 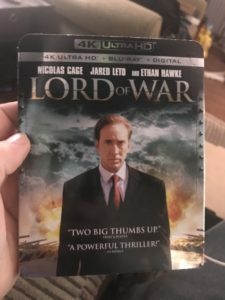 Made available in a 2160p transfer in 2.40:1 from Lionsgate Films, Lord of War on 4K UHD offers a much needed improvement over its earlier released Blu-ray counterpart. Earlier revisions of this films release included a slightly digital appearance that seemingly has made itself disappear with these fresh scans, allowing for more of a seamless transition into the more natural elements of the scenes. The colorization and overall use of HDR/Dolby Vision with this release is where it ultimately shines as the outdoor scenes boast some of the more beautiful presences that I’ve personally seen, and the finer details of the weaponry and arms at play in this movie offer an appreciation to the finer details associated with the danger that comes in dealing with weapons like this. 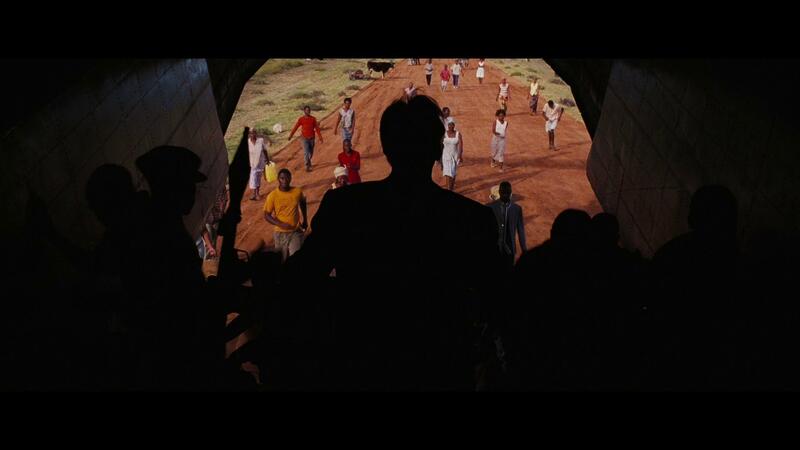 Packaged with an all new Dolby Atmos audio track, the 4K UHD release of Lord of War gives its viewers a completely refreshing experience when you compare it to earlier released versions. It should be noted that some folks weren’t too fond of the use of Atmos with this release, some stating that the movie went into “overkill” at some spots; but, I can certainly attest that with the experience that my wife and I had the other night, there wasn’t anything overkill about this audio track. Everything from the surround effects, to the heightened elements of this track were beautifully executed and offered an insane amount of immersion, ensuring that it really felt like you were sitting right there in the middle of everything. The dialogue was spoken cleanly, and the characters were able to be heard and understood with absolutely no problems at all. 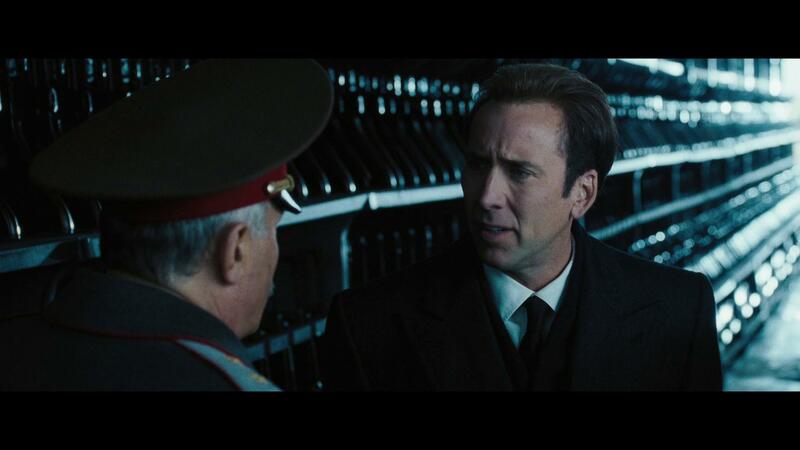 The UHD release of Lord of War is available in the standard two-disc amaray case. Both the Blu-ray and 4K copy of the movie feature a piece of artwork that’s similar yet different from each other and different from the artwork that’s included on the case. 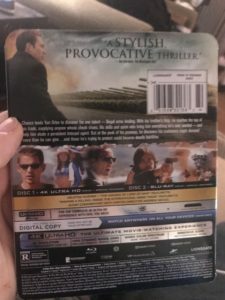 There is a digital copy redemption pamphlet as well as a slipcover that’s been made available in the original pressing of the release that features the same artwork as the case. Overall, I was really happy to see that Lord of War was selected to get the 4K treatment, simply because the earlier Blu-ray copies of the movie were extremely bland, and offered minimal treatment over their DVD counterparts (mostly because they were released early on in the format). To see this movie get a fresh re-scan of both the video and the audio tracks was quite refreshing, and offered a completely new experience. I do wish they would have opted to include more special features with this release; but, I can also understand why they opted to not do so. If you’re considering this release for your collection, I would absolutely recommend picking it up, even if you are upgrading your Blu-ray copy. 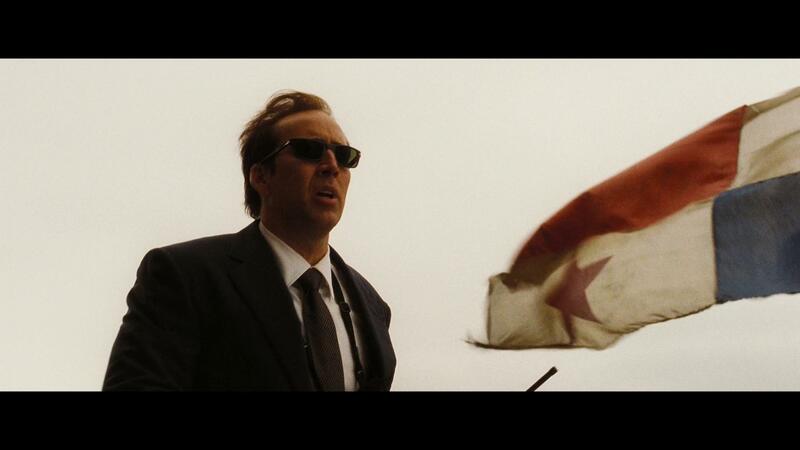 Lord of War is available on 4K UHD today.